Finding the perfect vehicle while staying in your budget isn’t always easy. 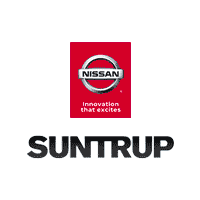 At Suntrup Nissan, you can find tons of great Nissan incentives through our Nissan certified pre-owned inventory. Find a quality vehicle with abundant features in our certified pre-owned Nissan inventory available at our St. Louis dealership! Our budget-savvy choices give Mehlville drivers the ability to pick from well-equipped models like the Nissan Murano or Nissan Altima. Unlike standard used vehicles, certified pre-owned vehicles are as close to new vehicle condition as possible and are rigorously inspected for quality. Pair that with our competitive financing options to further ease the stress of car-buying. Browse our inventory online, or come see us in St. Louis, and we’ll get you set up in your new-to-you vehicle in no time.